The key to building and sustaining the trust of the online consumer is to focus your business entirely on them, says Platinum Seed's Bradley Elliott who spoke at the recent E-Commerce Africa Summit in Cape Town. 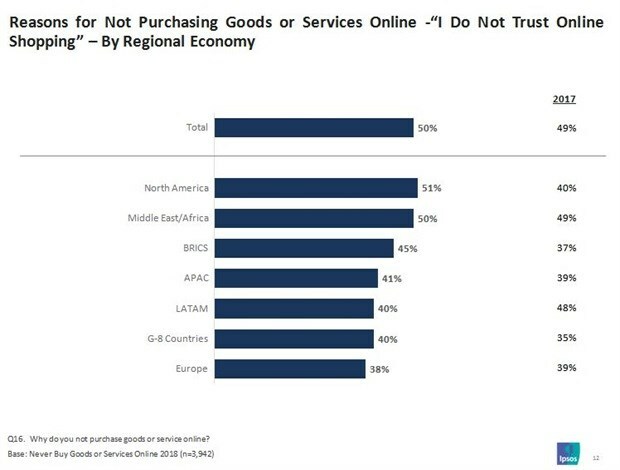 According to a 2018 CIGI-Ipsos Global Survey on Internet Security and Trust, 50% of those surveyed do not purchase online because of issues with trust. •	Will I receive what I ordered? •	Is the product real or fake? •	Can I return the product? •	Is my private data safe? •	Is the system secure? •	Is this web-shop real? “Consumers are clearly worried about being conned. And rightly so,” says Elliott. The world’s most wanted cybercriminal, Paul le Roux, comes from South Africa. Conversely, data breaches on social media companies are another driver behind consumers’ increasing distrust in transacting on the internet. 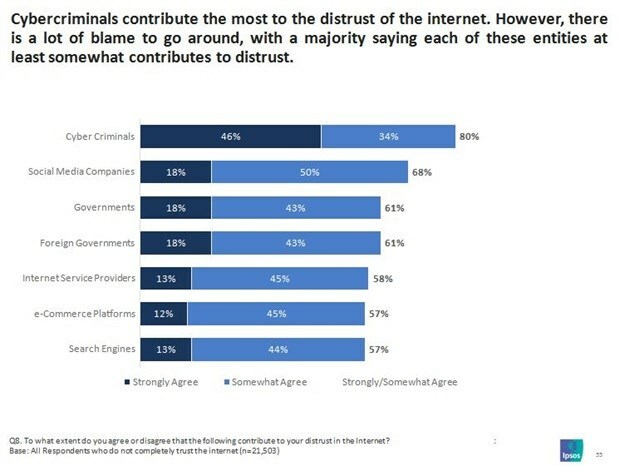 Elliott says that, interestingly, e-commerce companies themselves add to this growing distrust: 57% of the respondents in the CIGI-Ipsos Global Survey on Internet Security and Trust said that they don’t trust the internet because of an e-commerce platform. While the statistics may paint a bleak picture for online shopping, Elliott says there is hope in redressing the issue. “Research shows that once you win someone’s trust and they start shopping online, they trust shopping online more. The more they shop online, the more they trust shopping online,” he says. Consequently, this may also contribute to a country’s overall economic growth. Elliott refers to Nigeria, which overtook South Africa as the continent’s biggest economy in 2014 when it started accounting for all its e-commerce sales. “Once countries reach or exceed that magical 2% of online sales as a percentage of total retail sales, things begin to scale quickly,” he adds. When looking at ways of rebuilding trust in online consumers, Elliott suggests we look to African-based online marketplace Jumia – which he reckons is one of the most customer-centric businesses on the continent. “The customer is the absolute be-all and end-all to them,” he says. •	China’s population is five times bigger than that of the United States. •	Its internet base is thus also bigger, which results in a competitive advantage in data, machine learning and AI. •	While the US may have a bigger economy, China’s is growing faster. Online sales in China contribute to 13% ($1.6trn) of the country’s GDP in one year in comparison to the USA’s 4.4% ($500bn). Elliott says that China’s exponential online sales boil down to what Alibaba founder Jack Ma calls the ‘new retail’. The concept integrates online, offline, logistics and data across a single value chain and places the consumer at the centre of it all. New retail’s counterpart is ‘uni-channel’, in which everything is tightly integrated, seamless and fluid says Elliott. “The big uni-channel epiphany is about meeting your customer, wherever they are,” he adds. “Trust is the entry point to being customer-centric. If you understand your customer, you can transcend verticals and industries you might not have thought you could operate in,” he says. And points to Discovery as an example – although it started off as a health insurer, it has now entered the financial services sector by using data and being customer-centric. “Trust is your entry point to customer centricity. Customer centricity seals more sales,” he adds. “Think about how you can add value at every single touchpoint that a customer has with your business. And make it as frictionless as possible,” he says in conclusion.